Slow Cooker Chicken Curry – a bowl of this delicious, wonderfully fragrant, creamy chicken curry is sure to warm you up on a cold winter’s day. We are in the midst of a very cold and snowy winter, here in New England, and so it’s not surprising that I’ve been focusing lately on comfort foods. Last week I shared my family’s favorite soup – Italian Wedding Soup, and earlier this week I shared my husband’s recipe for a traditional Dutch comfort food — Dutch Hutspot. 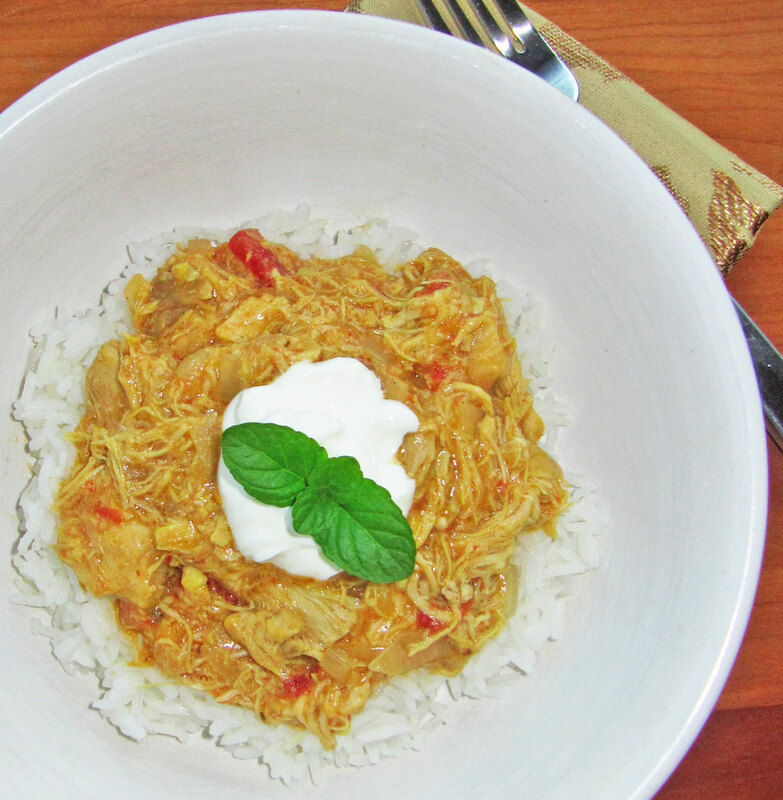 The comfort food theme continues today with another of my family’s favorites – Slow Cooker Chicken Curry. I definitely think of curry as comfort food, especially when it is a creamy curry, such as this one. This curry gets it’s creaminess from a mixture of coconut milk and Greek yogurt. 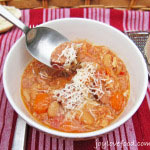 It is so delicious and I love that it is easy to make and is made in the slow cooker. On a related side note, I happened to catch an episode of The Taste the other day and the challenge was comfort food. Chef Marcus Samuelsson, who I love (see my Shrimp Piri Piri post), selected chicken curry for his team to make. So, I definitely am not alone in viewing chicken curry as comfort food. 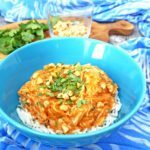 I love all the wonderful spices in this Slow Cooker Chicken Curry. And it is so easy to make, you put everything in the slow cooker and then let it simmer away for hours, filling your house with the delicious scents of cinnamon, cumin and ginger. The fresh mint added to the sauce at the end really adds a wonderful layer of flavor and freshness to the dish. I like to add a dollop of yogurt to each serving and some additional fresh mint is nice sprinkled on top. Trim fat from chicken thighs and place in 5-6 quart slow cooker. Add onion, garlic, ginger, salt, bay leaves, cinnamon stick, curry powder, coriander, cumin, turmeric and allspice to slow cooker. Pour diced tomatoes and coconut milk over mixture in slow cooker. Cover and cook on low heat for 7-8 hours or high heat for 3-4 hours or until chicken is fork tender. Remove chicken from slow cooker and shred with two forks on cutting board. Remove bay leaves and cinnamon stick from sauce in slow cooker, discard. Create a slurry by whisking together, in a small bowl, water and cornstarch until cornstarch is dissolved. Add slurry, Greek yogurt and chopped mint to slow cooker and stir to combine. Cover slow cooker and cook on high for 5 minutes or until sauce is thickened. Return shredded chicken to slow cooker and stir to combine with sauce. Serve chicken and sauce over rice and top with a dollop of yogurt and chopped fresh mint leaves if desired. 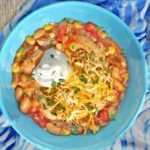 This entry was posted in Crock Pot / Slow Cooker, Main Dishes and tagged chicken, coconut milk, crock pot, curry, slow cooker, yogurt. This is on my list to make next week!! I cant wait to try it!! You always have such yummy food!! This sounds so good, and I love your presentation! Thanks for sharing at the #HomeMattersParty – We hope to see you again next week. I LOVE curry! I used to make it all the time before I had picky eaters. I am half Thai. I would never think to use a slower cooker though. Great idea. Thanks for linking up to Totally Terrific Tuesday last week! I can’t wait to see what you have to share this week! Thanks Sharon! 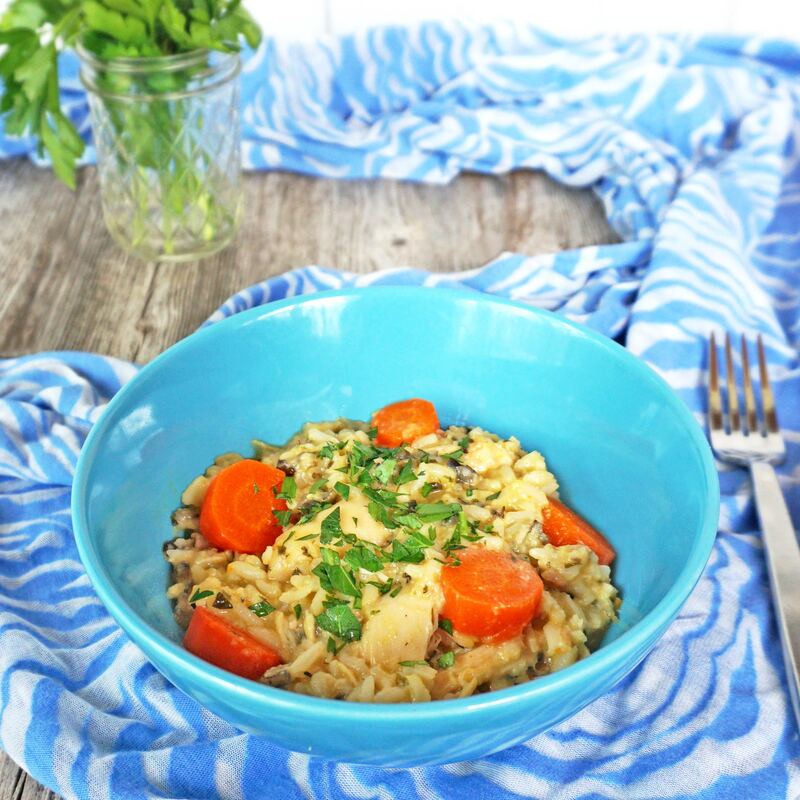 Even my picky eaters love this one! Yummy!! Curry is my husbands favorite!! Thanks for sharing on My 2 Favorite Things on Thursday! Hope you come back and share some more!! Pinned! Elaine recently posted…3 Different Ways To Use Those Girl Scout Cookies! This looks so good. I have just started to enjoy curries. I will have to give it a try. The Wedding Soup on your sidebar looks good too! 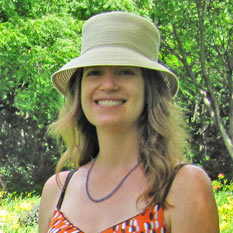 Thanks for linking to the This is How We Roll Link Party! Your post has been pinned and I can’t wait to see what you bring next week! 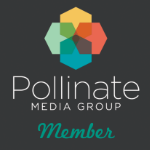 Cynthia L recently posted…Affordable Florida Vacation – Let’s go now! This looks delicious! 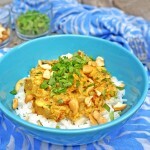 I love chicken curry, especially when it can be made in the slow cooker. This looks yummy! 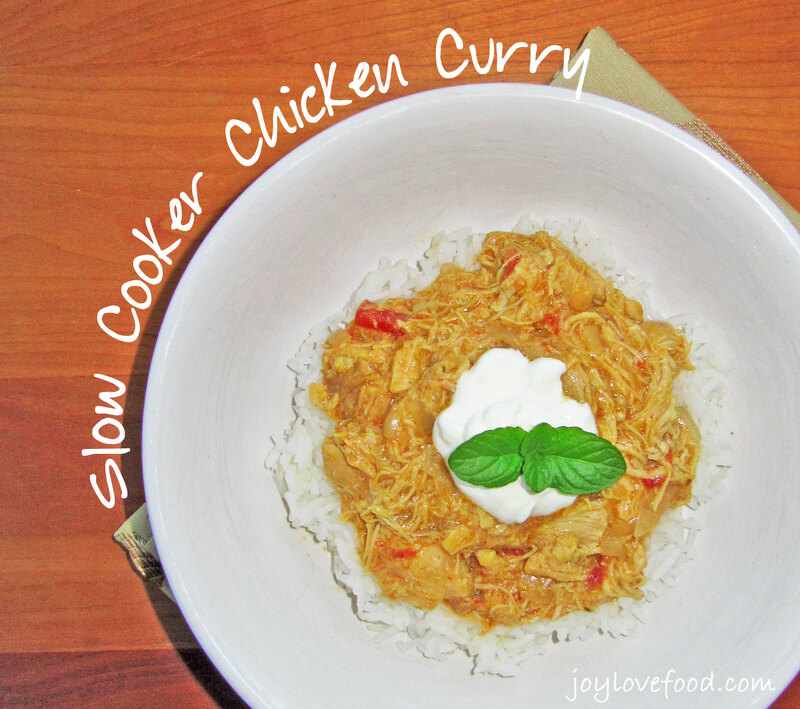 I just adore using my slow cooker- it’s a lifesaver! Pinning and yumming so I can find this to make it soon! This looks great, I like the substation of allspice in place of garam masala. Sometimes curry is just the best “hit the spot” meal. Looks delish! KC the Kitchen Chopper recently posted…The Real Food Experience Week #6 Challenge: Kitchen Systems and Organization, Plus “Mise en Place” for Fitness! I love all curries! This is such a great and easy recipe! 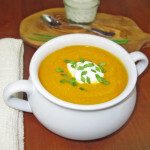 I like this recipe and it looks like a very interesting try. Oh my! putting this on the menu for next week!! Thank you so much AnnMarie!